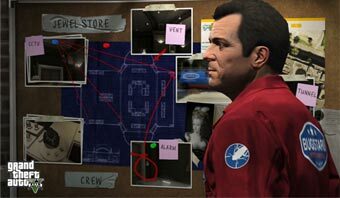 Blaine CountyOur largest open world yet – by far – and spanning vastly diverse cultural and geographical areas, the entire world of Grand Theft Auto V is open from the very beginning of the game to explore. Visitors to the greater metropolis of Los Santos and the countryside of Blaine County will encounter faded celebrities, meth heads, party people, violent gangs, hikers, bikers and every other manner of colorful denizen. 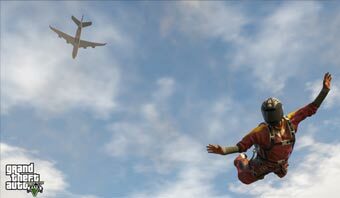 You’ll be able to traverse everywhere from the tops of the mountains, through the streets of Los Santos and to the depths of the ocean floor. Michael, Franklin and TrevorThree playable protagonists – Michael, Franklin and Trevor may live in different parts of town, have their own issues, attitudes, lifestyles, desires and goals – but they do know how to work together. They also each have their own unique skillsets to bring to the table when it’s time to get the job done. HeistsPetty crimes, hustling and stealing cars can only get you so far in Los Santos. 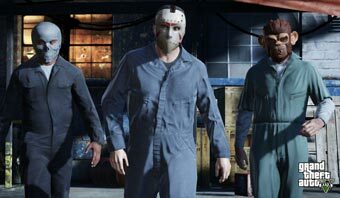 To score big, Michael, Franklin and Trevor will work together to pull off grand Heists – big, multi-part missions that require careful preparation, recruiting, and precise (and often explosive) execution. Cash is king in GTAV and while there will be plenty of ways to acquire and spend it – heists are the way to earn the big bucks. 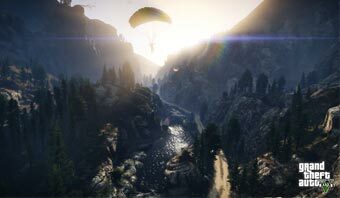 New GTA 5 Official Trailer (8/29/2013)- So Finally we have an “official” video regarding the latest Grand Theft Auto 5. Complete with your standard Skydive, mini gun and fighter jet action!